I’m on a bit of a quest to bring back silver hair among women and launching myself right into the middle of the great gray war. I’m all for it and I think it’s ridiculous that men get all this respect while women have to hide. I even think it’s hot and attractive for a lady to show off her gray mane. Case in point is the top silvercat of them all, Christine Lagarde. I’m a fanboy, no joke. She is in my top 5, you know, women I would most like to *meet*. Maybe it’s my way of rebelling against a society that puts such great importance on female youth. It’s as if nothing matters after a girl turns 30, she’s done. I really hate that. Especially, because so few of us know anything at that age. I love meeting women who are solid and sophisticated at any age. If she happens to be older, even better. There is simply something attractive in confidence and experience that a nubile beauty can’t match. “When she does arrive at her office, the force of her presence is palpable. When we call somebody a star, we’re sometimes hinting that along with the glamour, there may be an element of fragility or caprice; Marilyn Monroe was a star. “It would be better to say of Christine Lagarde that she is a planet with a powerful field of gravity, orbiting through the skies of global high finance, the first woman to be in charge of the world’s economy. 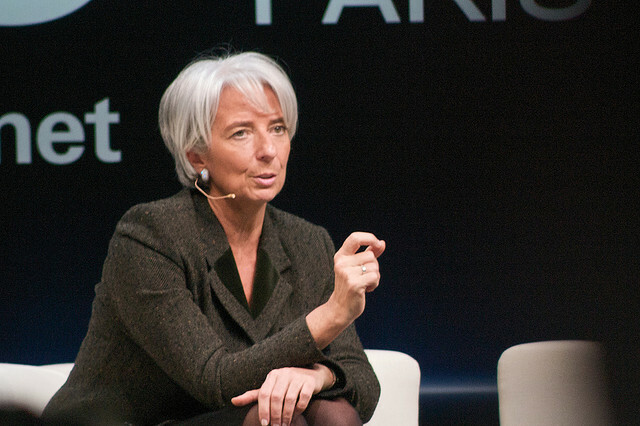 “Lagarde looks great. She’s wearing a pale oatmeal-hued suit, a white blouse, dangly earrings, and carries a large Kelly bag from Hermès. The ensemble complements her silver hair and smiling, younger-than-her-55-years face. …and she can project a steady hand and cool head on me anytime.